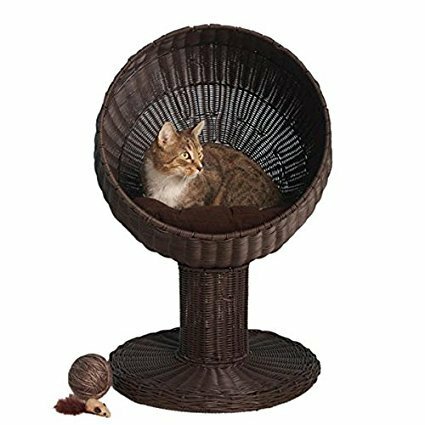 I found this enclosed window mounted cat pod and I think it might be up in my top three window cat perches. 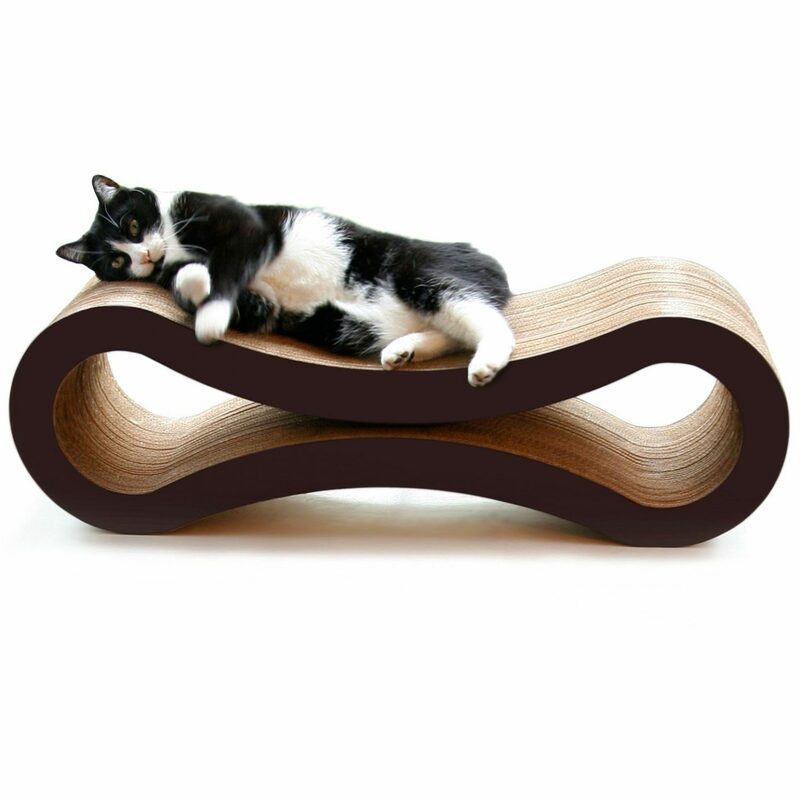 It’s so cool looking and makes such a lovely basking spot for a cat. This perch might also be one of the coolest I’ve seen. 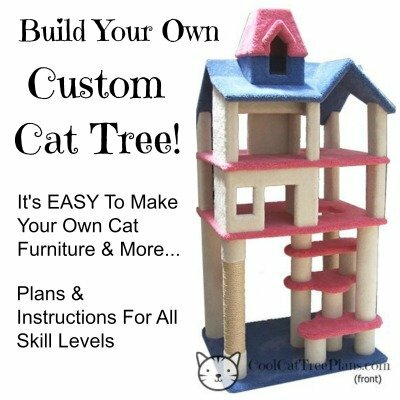 With it’s almost “closed off” design, it can give your cat a place to hide out and watch the world go by. 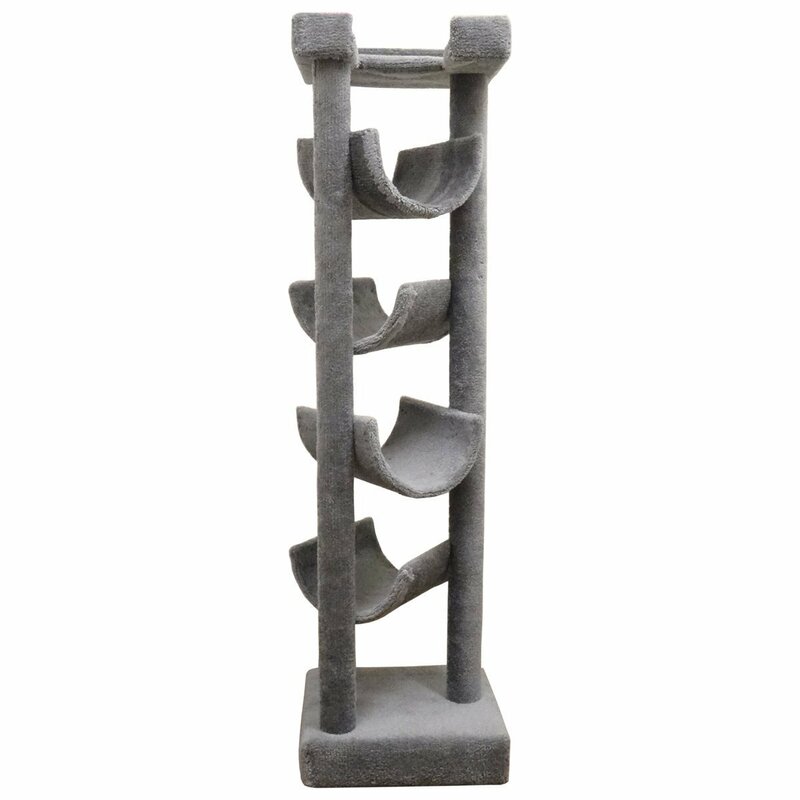 Holds Up To 60 Pounds! 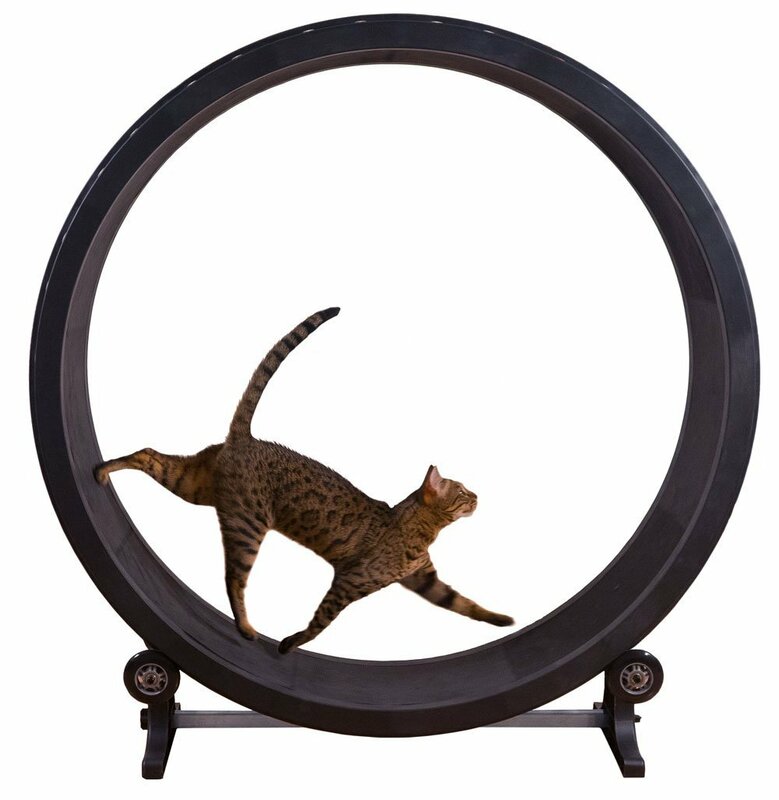 Despite it’s cool appearance, a few cat owners have noted that their cat’s have trouble turning around in it. 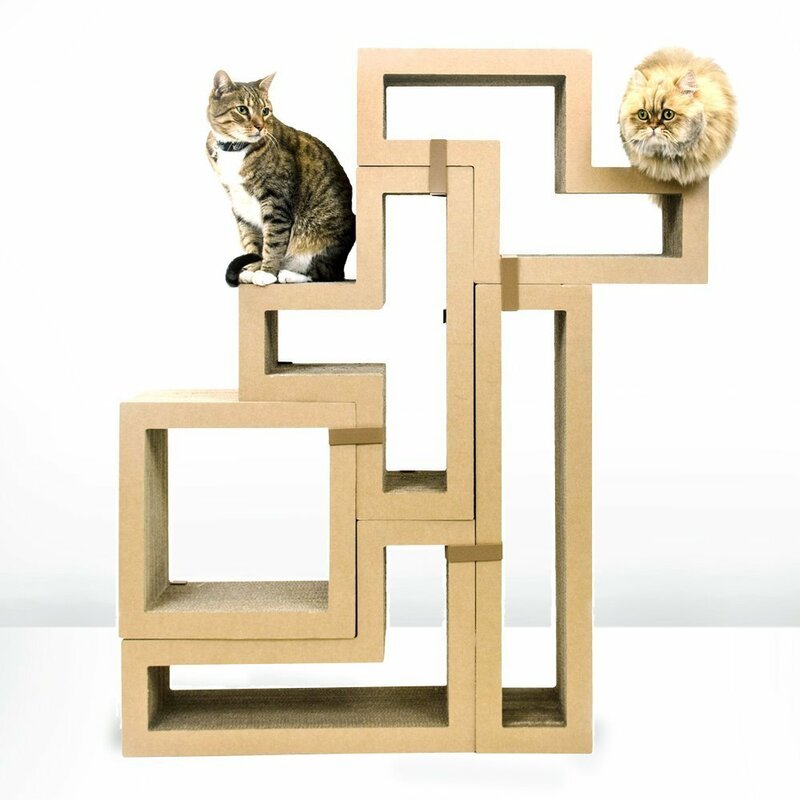 This seems to be a cat specific problem and not a problem with the item itself, as I have seen cats of all sizes turn around to get out just fine. Even really big ones. 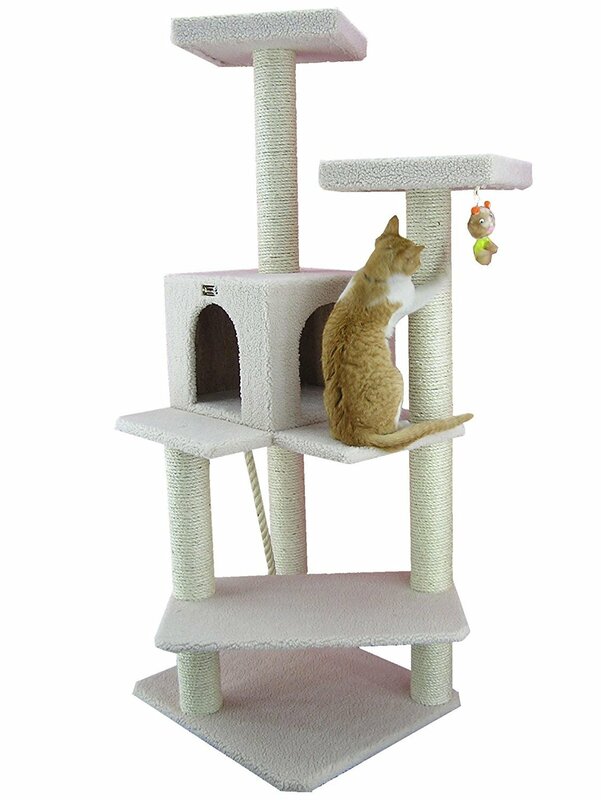 So just keep your cats needs, behavior or likes in mind when purchasing a cat pod like this. 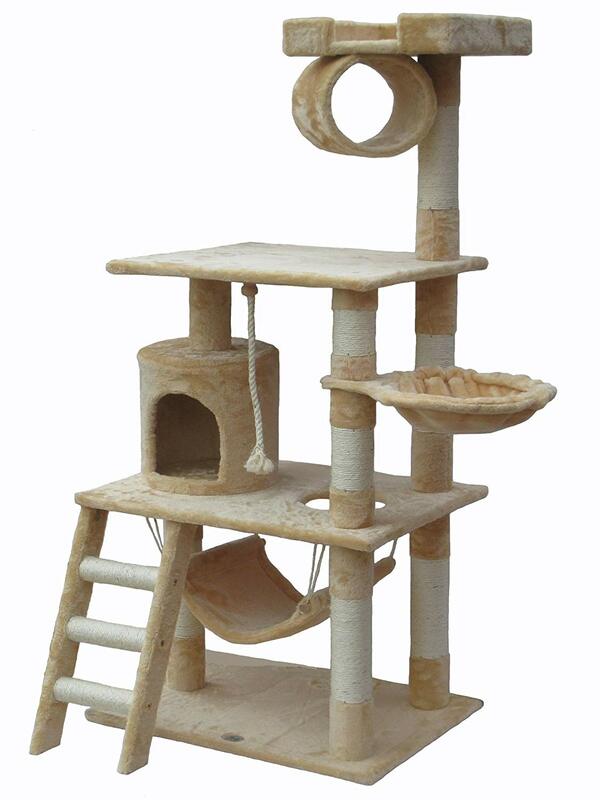 Ask yourself what you think your cat’s needs are and how they will handle being in a more confined space like this. For example, do they enjoy crawling into thin boxes? Will they turn around to get out of such a space or do they tend to back out? Want to see some other window mounted cat perches before you decide? Look at right over here! 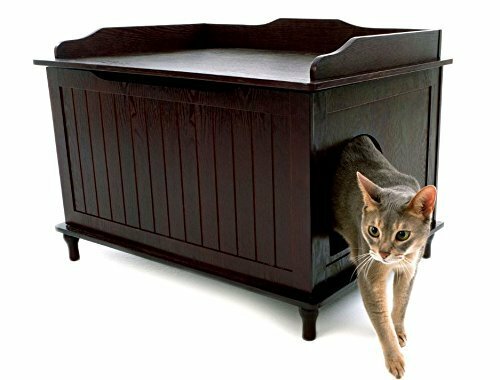 And if you just love the look or idea of a cat pod like this and your kitty is one who doesn’t like to turn around in small or tight spaces you should know happy customers have already solved the problem for you. 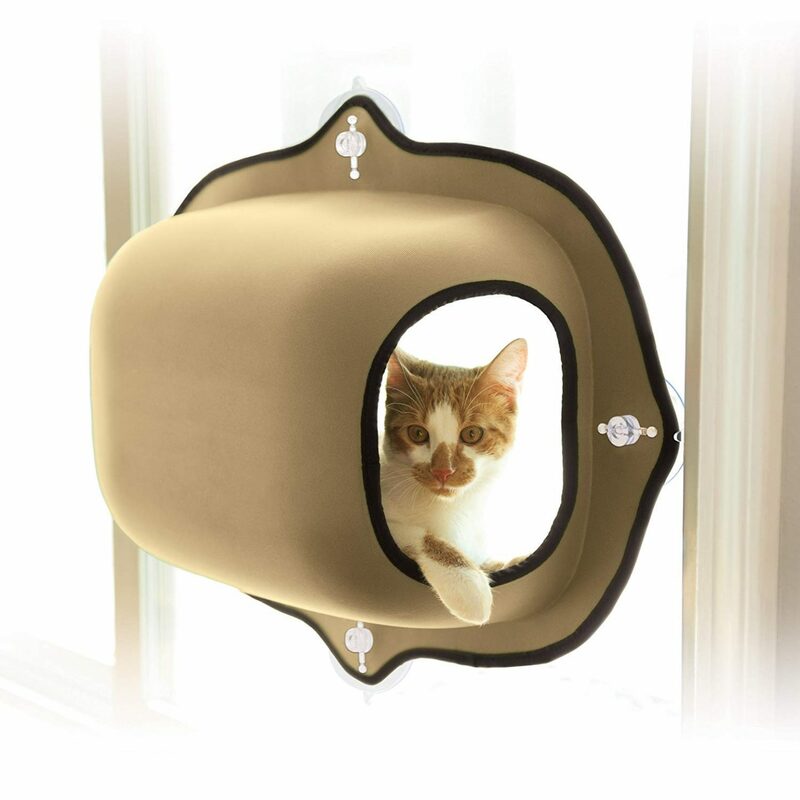 What they’ve done is cut out a rectangular hole in the top of this enclosed window mounted cat pod when they noticed their cat’s having trouble turning around and it fixed their problems right up. Suddenly their cat LOVES it as much as they do. Like This Enclosed Window Mounted Cat Pod? Please Tell Your Friends. Thank YOU!